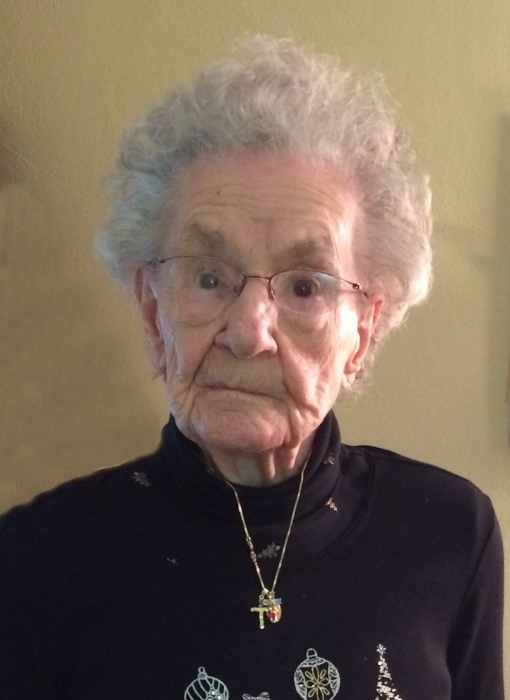 Annabelle (Fick) Seifert, of Canton, OH passed away March 30, 2019. Annabelle was born on September 12, 1920 in Canton daughter of the late John and Helen Fick. She graduated from Washington High School and married the love of her life, Martin "Bud" Seifert on June 9, 1942, and together they raised five children. Once her children were older, Annabelle became "The Hat Saleslady" at Stern and Mann and Wig N Things, where she worked until her retirement. Aside from her family, Annabelle's greatest love was for God and Church. She was one of the earliest members of St. Joan of Arc Catholic Church, where she was a member of the Alter Rosary Society and an Eucharistic Minister. In addition to her strong Catholic faith, Annabelle enjoyed playing cards with her family, gardening, and cooking, especially apple dumplings and pies. She was fond of all sports, but especially Central Catholic Football and the Cleveland Indians. In addition to her parents and her loving husband, Martin, Annabelle was predeceased by her five siblings, Howard, Walter, Agnes Nordenbrock, Florence Schillig and Helen Lieibig, as well as her son-in-law Michael P. Darrah and great-grandchild, Angelina Volpe. She is survived by her five children, Rosann (James) Triner, Bonnie Darrah, Janice (Mark) Mellinger, Martin L. (Vicki) Seifert, all of the Canton/Massillon area and Theresa (Jeffrey) Borodkin of Medina. She also is survived by her grandchildren, Christopher (Brenda) Triner, Cullen (Kristina) Triner, Lori (Marty) Jones, Lizabeth Darrah, Lynn (Michael) Wackerly, Matthew (Lauren) Mellinger, Nathan (Lindsey) Mellinger, Michelle (Dennis) Volpe, Martin J. (Nikki) Seifert, and Bryan Borodkin and eleven great-grandchildren. Calling hours will be held on Tuesday, April 2, 2019 at Heitger Funeral Home - Jackson Chapel, 5850 Wales Ave., N.W., Massillon from 6 to 8 P.M.
Mass of Christian Burial will be held on Wednesday, April 3, 2019 at the House of Loreto, 2812 Harvard Ave. N.W., Canton, Ohio at 10 A.M.
Rite of Committal to follow at Calvary Cemetery, 3469 Lincoln Way East, Massillon. The family wishes to thank the wonderful Sisters and caring staff at The House of Loreto. Any charitable donations in honor of Annabelle's life can be sent to the House of Loreto.